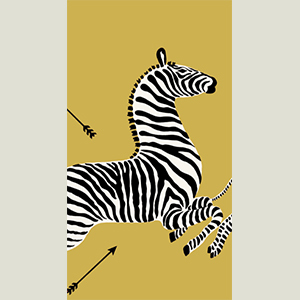 Scalamandre's iconic zebras for your table via Caspari. Just take a minute to let that sink in. 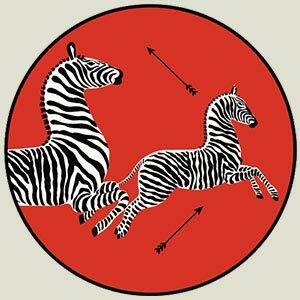 Scalamandre's zebras literally know no bounds...they might run for President one day. And for good reason...we can't get their prancing out of our heads. 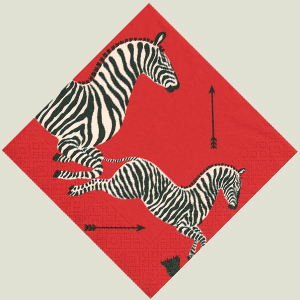 And this collaboration with Caspari is just SUCH a good idea. That last one is a placemat. Yes, that's correct. Just ready to be layered with your everyday white china on a daily basis. The line has napkins and such in the obvious red, gorgeous gold, and snappy orange. 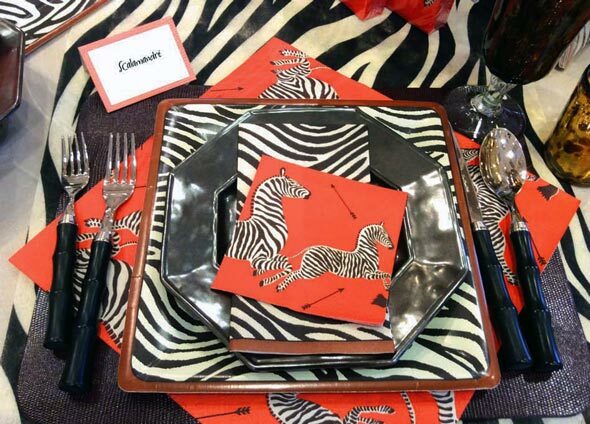 And the plates are an actual zebra print, leaving our whimsical Scalamandre pattern for the accents. I will not judge you if you buy the napkins and frame them. I know we realize how good this is, so just go buy some - click here. Daniela I am so thrilled to see this! 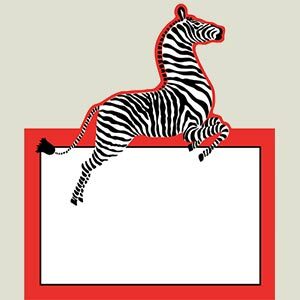 The iconic Zebra print has always intrigued me (I have Steven Stolmans book, Scalamandre Haute Decor and it too is a winner. I want the placemats!